No matter how diligent people are at caring for their teeth at home, nothing can replace a professional dental cleaning performed by a dentist. Harmful bacteria grow in the mouth that leave behind plaque buildup that can only be removed by a dental professional. Plaque must be removed because it is the cause of gum disease and other illnesses. By keeping regular dental cleanings as a priority in their schedule, people are able to maintain optimal oral health. There is no reason why a visit to the dentist needs to be scary. At Gold Hill Dentistry, we take great pride in providing all of our patients with a relaxing, caring, and professional environment. We do understand that some patients will still feel anxious during a dental cleaning and we will take the necessary measures to help those relax during a procedure. During a dental cleaning, the teeth will be thoroughly cleaned using an ultrasonic scaler to disrupt and remove live and calcified bacteria from the teeth. Next, a curette will be used to remove small bacterial deposits and to smooth the surface of the teeth. 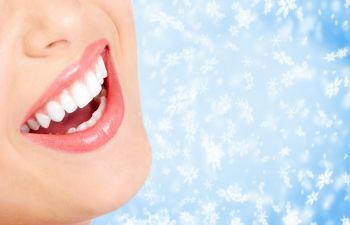 The teeth will then be flossed and polished with a rotary toothbrush so that the enamel of the teeth is shiny and clean. Throughout the dental cleaning procedure patients’ mouths are checked for any signs of change since their last appointments and an oral cancer screening will be done. By visiting the dentist on a regular basis, we are able to keep our eyes open for any irregularities in the mouth. When anything out of the ordinary is noticed, the sooner it is addressed the better chance for full healing. Dental cleanings are an important part of a person’s overall health. As will all diseases and infections, their effects can spread throughout the rest of the body – oral issues are no different. If you are in need of a dental cleaning or would like to make Gold Hill Dentistry your family’s dental practice, call today to schedule an appointment.